David Quantick is the author of Sparks and The Mule. 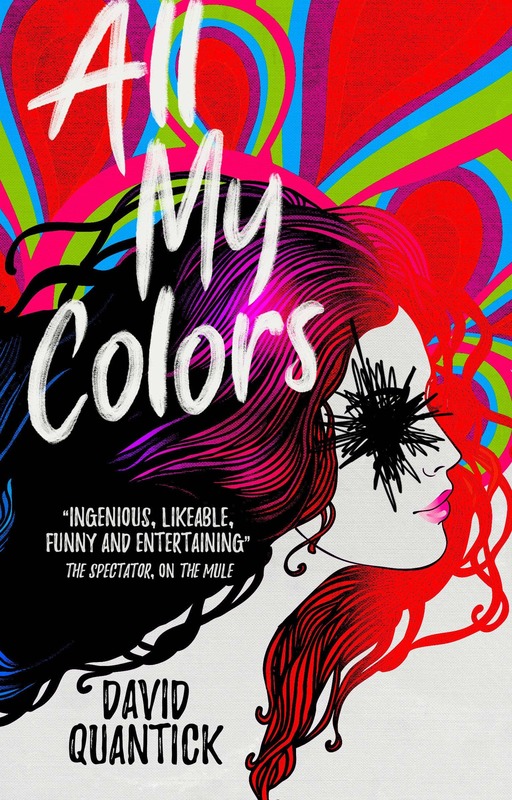 His latest, All My Colors, is a dark comedy about a man who remembers a book that may not exist, with dire consequences. Booklist compares it to one of my favorite 80s fantasies, saying “the slowly unfolding literary menace will appeal to fans of Jonathan Carroll’s The Land of Laughs (1980),” and Kirkus Reviews calls it “wonderfully bizarre… a twisty and fitfully funny episode of The Twilight Zone, it’s a blast. A caustic, unexpected comic horror story in which the villain, as always, thinks he’s the hero.” Here’s the description. With a looming divorce and mounting financial worries, Todd finally tries to write a novel, with the vague idea of making money from his talent. The only problem is he can’t write. But the book — All My Colors — is there in his head. Todd makes a decision: he will “write” this book that nobody but him can remember. After all, if nobody’s heard of it, how can he get into trouble? As the dire consequences of his actions come home to both Todd and his long-suffering friends, it becomes clear that there is a high — and painful — price to pay for his crime. All My Colors will be published by Titan Books on April 16, 2019. It is 289 pages, priced at $14.95 in trade paperback and $8.99 in digital formats. Sounds intriguing, but it would have to go a long way to match The Land of Laughs; that book is ice-cold brilliant.